Ref Watch: Did Ross Barkley dive in England's draw with Croatia? Did Ross Barkley dive against Croatia? Were England unlucky not to get a penalty in the 0-0 draw with Croatia on Friday? Did Scotland's John Souttar deserve his red card? Former referee Dermot Gallagher has the answers. Alex McLeish was left frustrated with the call to send off Souttar in Scotland's 2-1 defeat in Isreal. INCIDENT: Ross Barkley appears to be brought down in the penalty area by Croatian Ante Rebic, but no penalty was given. VERDICT: Correct call and no dive. DERMOT SAYS: I didn't think it was a penalty. The defender doesn't do anything wrong - he hasn't changed his movement. Barkley has gone into the back of the defender. INCIDENT: Tin Jedvaj overruns a ball in midfield and desperately lunges in on Eric Dier at full stretch, catching him on the ankle. A yellow card is brandished. DERMOT SAYS: If he got a red card here, he couldn't complain. The referee has made his decision based on the player going in low. It's a borderline red card. The player lunges, stops, then goes again - that's the bit that was nasty. INCIDENT: John Souttar receives two bookings for two separate fouls. His boss called the decision to send off the defender "a travesty." VERDICT: Contentious - but can see why the referee gave it. DERMOT SAYS: It's a very, very interesting sequence. His first tackle is a yellow card but it's nowhere near as dangerous as the aforementioned Croatia tackle, which has the same punishment. The variance in how to hurt a player between the two is massive, but that's how the game has evolved. The problem with the second one is, as the referee has given the foul, he's committed to punishing the player. It's not the worst foul in the world but once he whistles it's going to be a second yellow card. INCIDENT: Steven Naismith wins a penalty after Isreal defender Dor Peretz barges him in the back. DERMOT SAYS: We see these shoulder barges a lot. It's a matter of how much the referee deems the player pushes him rather than shoulder barges him - in this case, the defender goes into his back. 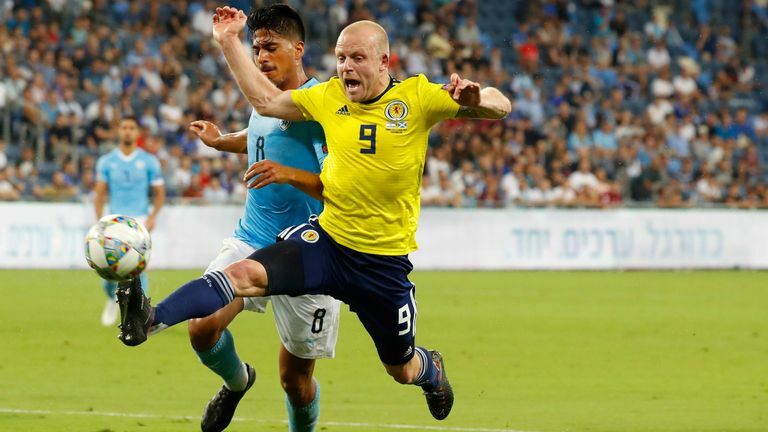 Highlights of the UEFA Nations League Group C game between Israel and Scotland. INCIDENT: A ball in from the right sees Shane Duffy go to attack it but he falls theatrically to the ground under pressure from a Danish defender. No penalty is given and Duffy is booked for simulation. VERDICT: Correct decision - but it's not a dive. DERMOT SAYS: I don't think it's a penalty but I think the referee could have just played on. Duffy throws his arms in the air, maybe that's what the yellow card is for. It's not a dive but it's also not a penalty. 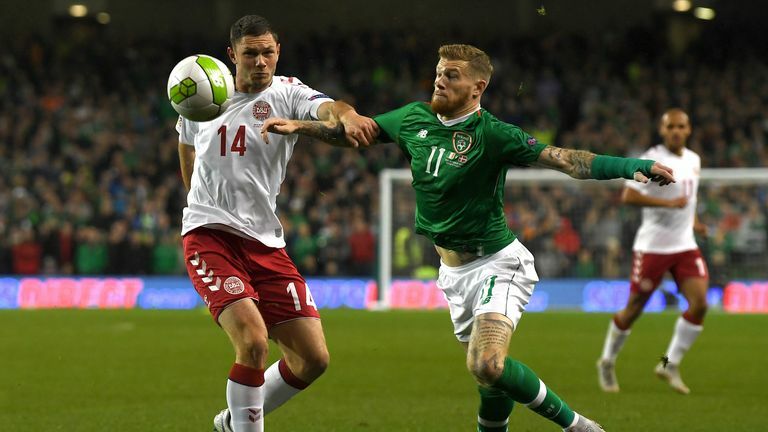 Highlights of Republic of Ireland's goalless draw with Denmark in the UEFA Nations League. INCIDENT: Craig Cathcart passes a ball back to his goalkeeper Bailey Peacock-Farrell, who picks it up. An indirect free-kick is awarded inside the box. DERMOT SAYS: I've seen this happen a few times where the goalkeeper is actually better off picking the ball up and conceding the free-kick as you rarely see anything come of it. This could end up being the safer option rather than the goalkeeping panicking under pressure from the striker and potentially kicking it against him. 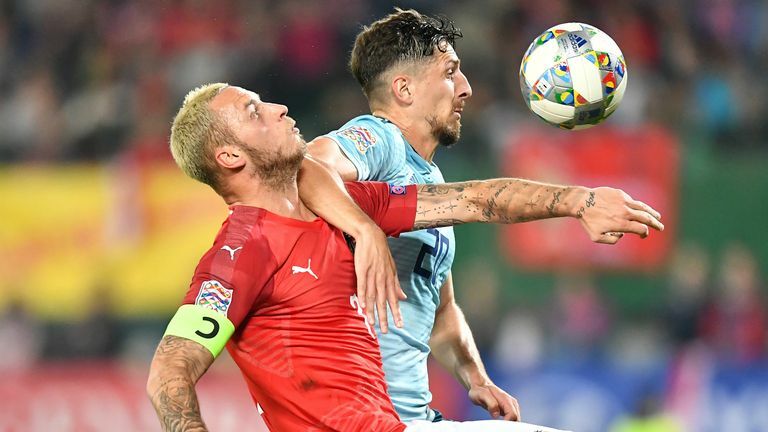 Highlights from the UEFA Nations Legaue group clash between Austria and Northern Ireland. INCIDENT: In MLS, a mass brawl soured Colorado Rapids' 2-0 win over Minnesota United with two red cards shown in injury time. Referee Guido Gonzales consulted VAR before sending off Tommy Smith and Minnesota substitute Harrison Heath - in the 14th minute of added time - for their part in the incident. VERDICT: Brilliant use of VAR. DERMOT SAYS: I like what the referee did here. People will say four minutes is too long to make a decision but two players have committed red card offences and the referee didn't see it. The referee has been clever by giving himself plenty of time and he's consulted his assistant. It did take time but it's really, really good refereeing. It looked tidy and seamless. You'd rather take four minutes to clear the situation up than have to go and look on a Monday morning for retrospective action. If you red card someone on a Monday morning it doesn't impact on the field on the team that has broken the rules. 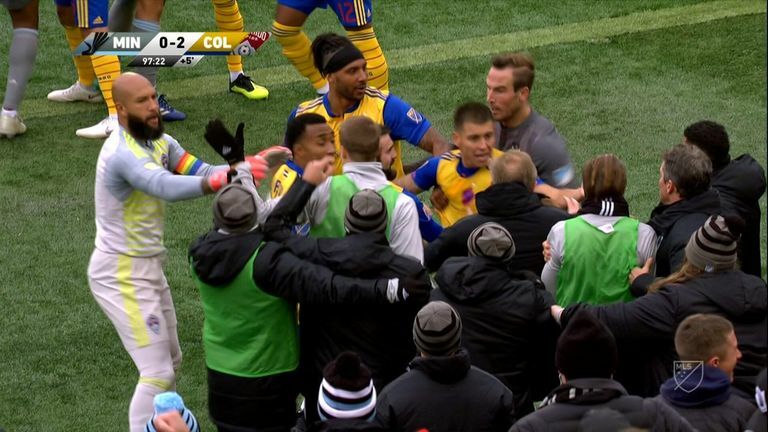 Mass scuffles broke out in Colorado's win over Minnesota after Tommy Smith celebrated Rapids' second in front of the opposition bench.